Respiratory arrest is the absence or cessation of breathing. Respiratory arrest shows up in two different ways, either as a complete absence of breathing (apnea) or as completely ineffectual gasps (agonal breathing). Regardless whether the patient appears to have muscle movement in his or her chest and shoulders, if no air moves through the airway (or just a tiny bit), then he or she is in respiratory arrest. A complete lack of breathing is known medically as apnea. In modern Latin, a- means "no" or "not" while -pnea means breathing. Apnea can be transient (meaning it comes and goes) like sleep apnea. Or, it can be permanent, such as at the end of life. If the patient is still breathing, but experiencing difficulty such as shortness of breath, it's known as dyspnea (dys- as in "dysfunctional" and -pnea as in "breathing"). Medical texts and healthcare providers sometimes refer to a type of breathing called agonal respirations or agonal breathing. You may have heard this term and wondered what it means. It is a specific type of respiratory pattern and might be mistaken for adequate breathing in an emergency. Agonal respirations are irregular, gasping breaths often seen during cardiac arrest. In most cases, rescuers will see victims take these gasping breaths no more than 10 to 12 times per minute; that's one every five to six seconds. Agonal respirations do not provide adequate oxygen to the body and should be considered the same as no breathing at all. Sometimes, this breathing pattern is called "fish breathing" or "guppy breathing" because of the resemblance to a fish out of the water. In most cases, patients that suddenly stop breathing without warning are also suffering from cardiac arrest and should receive CPR. The respiratory arrest also can be caused by severe asthma, choking, and more. In cases where the patient is not breathing or has agonal respirations but still has a pulse, he or she is considered to be in respiratory arrest rather than cardiac arrest. The 2015 CPR guidelines call for lay rescuers to treat both conditions the same: by starting CPR. 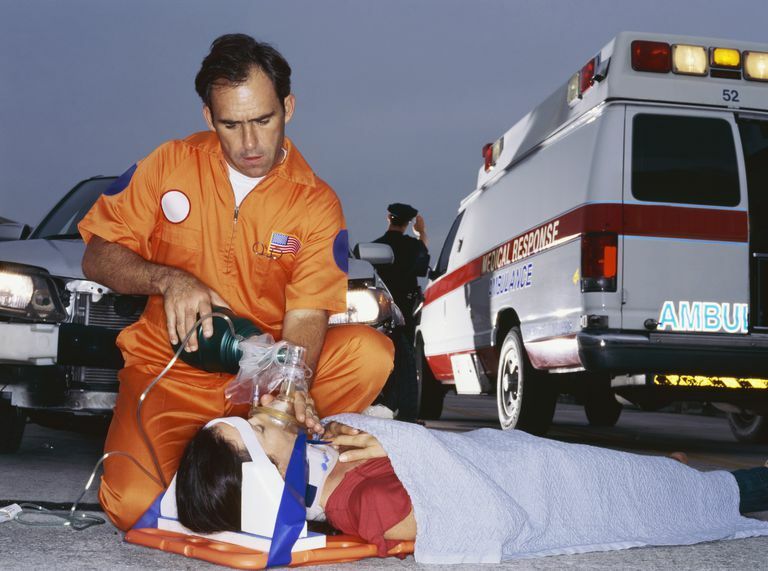 One of the most common causes of respiratory arrest without cardiac arrest seen by paramedics and other healthcare providers is the use of opioid medications or narcotics. It's very important to identify opioid overdoses immediately and act accordingly. As long as the patient is treated quickly, this condition is easily reversed with the use of naloxone and the patient can recover without any lasting effects. If naloxone is not available to a patient with an opioid overdose, call 911. While waiting for the ambulance, perform rescue breathing for the patient. Rescue breathing will help the patient survive until naloxone can be administered by the paramedics. In some areas, naloxone can be obtained through the patient's physician as a prescription, or through needle exchange programs free of charge. Naloxone only works on opioid substances and the only known side effects are related to reversing the effects of the opioids. Pham T, Brochard LJ, Slutsky AS. Mechanical Ventilation: State of the Art. Mayo Clin Proc. 2017 Sep;92(9):1382-1400. doi: 10.1016/j.mayocp.2017.05.004. Review. Do CPR, but What If They're Breathing?